Die cutting tools are manufactured and maintained by our own tool shop. Production flexibility is achieved by efficient use of our resources. Die cutting tools are immediately available for use on the presses. This allows for speedy switching between orders based on Kan Ban principles and allows short production runs and consolidation of multipart kits. 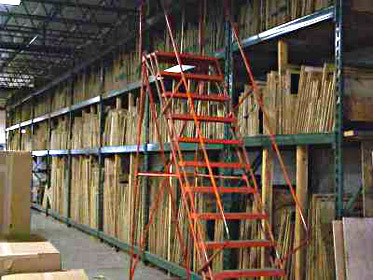 Die cutting tooling storage pictured.